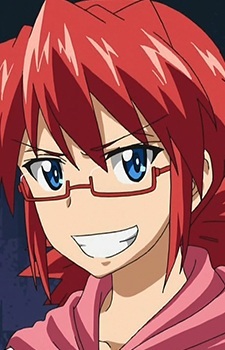 The main protagonist of Denpa Kyoushi, Junichirou is a 24-year-old otaku diagnosed with a disease known as "ADW," which stands for "only able to do what he wants." He was forced into becoming a high school teacher by his sister Suzune (who applied for the job without his knowledge). Junichirou has no shame when it comes to being an otaku, his antics typically embarrass those around him (especially his sister). Despite his eccentricity, he is a passionate and caring person who will go to great lengths just to help his students. He is also a genius, having once wrote a thesis that was published in a well-known science magazine known as "Nature." Junichirou initially became a part-time lecturer at Eastern Shinmei Highschool, where he met Minako Kanou. Prior to becoming a teacher there, he unknowingly influenced Minako into becoming a voice actor. Once he began teaching at Shinmei, he saved Minako from being bullied. He eventually became well-known among the students for his methods, but lost his job to a yale graduate. Top 15 Anime Teacher Characters: Arigatou Sensei! Although these fictional teachers only exist in the world of anime, we could never deny the fact that we learned just as much from them as did their beloved students. So to pay tribute, let us honor 15 of the most iconic anime teacher characters ever. Class is in session! A classroom of assassins and an impossibly fast superbeing responsible for destroying most of the moon - Assassination Classroom isn't your average high school anime! But what makes this series so different to others like it?